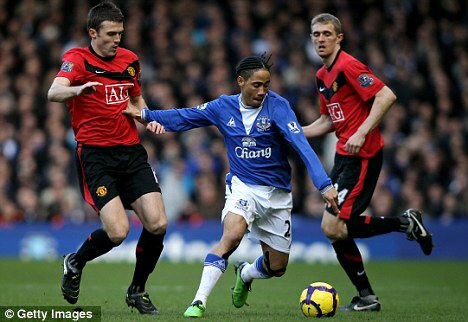 He won"t be among the contenders for Footballer of the Year, but there hasn"t been too many more consistent players than Everton"s Steven Pienaar. He travels all over the pitch, left and right, wants the ball and makes things happen. He has good balance, can pass and dribble with both feet and scores goals. I"m not surprised other clubs are looking at him. 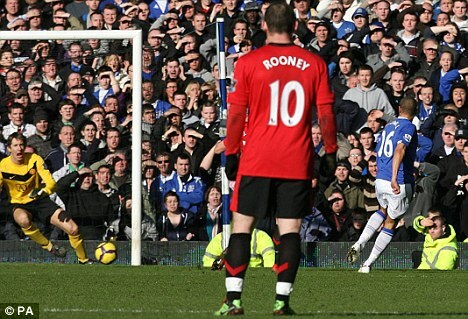 On the subject of Everton, they are looking strong. Even without the power and strength of Tim Cahill and Marouane Fellaini, they stood toe-to-toe against a Manchester United side who weren"t at their best, but who had a comfortable win in Milan five days earlier. Good to see Jack Rodwell scoring a brilliant third goal. I worry where the next superkids are coming from. He"s one of them. The race to be England"s No 1 will continue throughout the season and all the way to the Finals in South Africa but a good run of form now does nobody any harm. Robert Green, right, has kept four clean sheets in West Ham"s last four home games, behind a defence that had been leaking. His save at 1-0 from George Boateng was match-winning on Saturday. Hull have not scored in six of their last seven away games and that suggests danger. Teams with goalscorers can see way out of what is looking a tense struggle at the bottom. 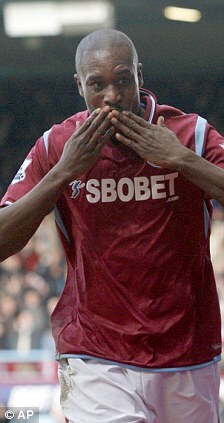 The return of Carlton Cole, for instance, helps West Ham and Sunderland have Darren Bent, even if they are out of sorts. That was a poor miss by Kenwyne Jones at the Emirates, though. In a fascinating interview with Sir Alex Ferguson in a Sunday newspaper, the Manchester United manager reveals the generous nature of Wayne Rooney, right, saying that he always makes time for people. It"s good to hear. Some players forget their responsibilities. They want the money, but they don"t want to make the time. If the best player can, why can"t the rest? Jose Mourinho, right, hasn"t lost a home league game for eight years across his time at Porto, Chelsea and Inter Milan. That"s some statistic and a sign of what Chelsea will be up against this week. When I was working on the Sky One programme Football"s Next Star, I got to spend time with him in Milan and saw close up his control and influence. He"s special, alright. ...that said, for all of Inter"s qualities - and they are better than AC Milan - they do not have a striker with the power and form of Didier Drogba. Mourinho might end up regretting signing the giant Ivorian from Marseille, this week. 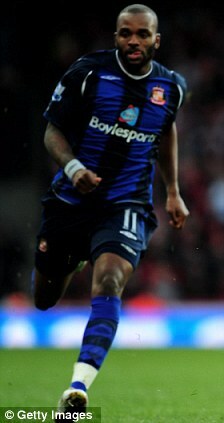 Drogba has scored ten goals in his last ten Premier League games. It will be fascinating to how Jose tries to stop him.